On The Rocks is a family business located in the center of downtown Traverse City, MI owned by Kathryn Wilson (our jeweler)and her daughter and son-in-law Jesse & Spencer Shattuck. Each piece of Kathryn Wilson's hand designed jewelry is truly one-of-a kind meaning your jewelry will be as unique as you are. 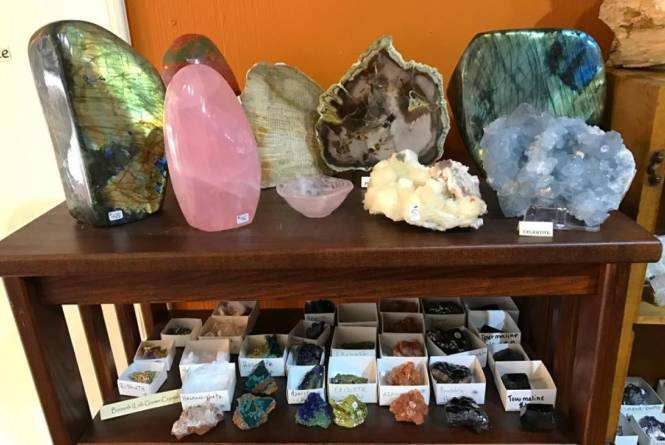 We also carry an eclectic collection of minerals and fossils from around the world and unique home decor items hand carved from natural stones.